In the early 1990s, people loved playing LucasArts adventure games like Monkey Island series, Day of the Tentacle, Sam and Max, Indian Jones and Grim Fandango. The Secret of Monkey Island was considered one of best graphic adventure games. It had a good, humorous storyline complete with puzzles, exploration and melee combat gameplay elements. The 80s and 90s gaming era focused more on story, creativity, intelligent puzzles—an aspect missing in most of the today’s games. Today, there are several gamers who love to revisit these classic graphic adventure games and have a chuckle or two. Few wish for a revamped version for the PC and console platforms complete with upgraded graphics and sound. 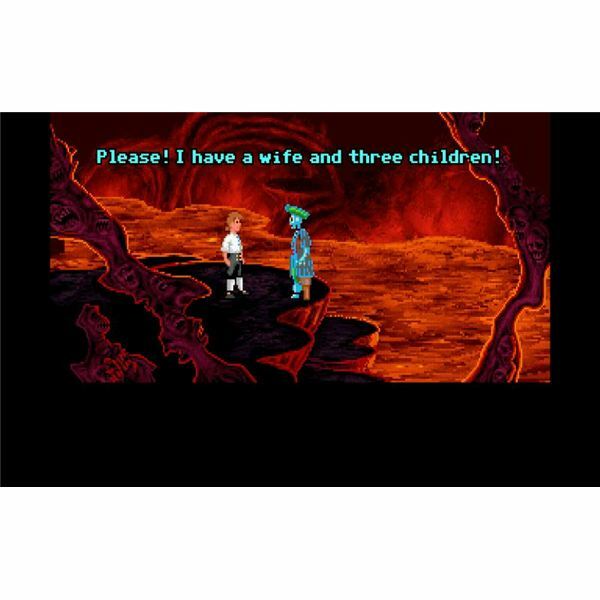 Well, there are few publishers who have taken the trouble of reviving old adventure games and LucasArts is one of them. The latest in LucasArts’ list of revivals is The Secret of Monkey Island: Special Edition. This new Xbox Live Arcade (XBLA) game is certainly a tribute to one of the most humorous games of all time. LucasArts timeless classic will appeal both newcomers and die-hard Monkey Islanders with its catchy phrases, excellent graphical face-lift and puzzles. Players step into the shoes of an aspiring pirate named Guybrush Threepwood who is set to confront the ghostly crew of the notorious pirate named LeChuck. Gamers will have to guide Guybrush to learn some swashbuckling pirate combat tactics to get rid of LeChuck’s monopoly in and around the waters of Melee Island. He has several objectives to complete, impress the local residents and the love of his life as well as become a pro pirate. Whenever you are in doubt about something, just press the X button on the controller to access useful tips. This can be very helpful for those who shrink away from the trial and error gameplay of The Secret of the Monkey Island: Special Edition. However, most players who are well-versed with the gameplay style will certainly not use this feature and would love to solve the intricate puzzles on their own. The game allows ample time to experiment and explore with just one death scene instance—if you ever fall into that trap…. (No spoilers here). All in all, gameplay is pretty similar except for few control confusions, which gamers will overcome in time. The one thing that’s really revamped in the “Special Edition” is the visuals. The excellent cartoony artwork redrawn in full HD is certainly eye-candy for those who have played the original game. When you begin, you are welcomed with the original opening scene, which slowly transitions itself into a new revamped artwork style. The new visuals are more polished and the characters look more like hand-drawn cartoons. The stylized backgrounds fit perfectly with the characters. 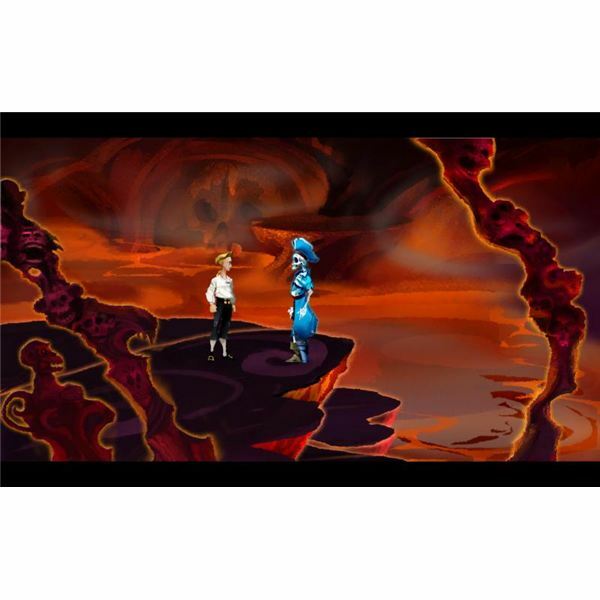 What’s more, players can switch between the original graphics and The Secret of Monkey Island: Special Edition visuals by pressing the Back button. By comparing both visuals, it gives us the idea about the difference between both original and upgraded versions and the hard work involved in creating the latter. However, there’s no flashy graphics or extreme changes made to the revamped edition. It’s just the simplicity and subtleness at its best. While there is no change in the plot inThe Secret of the Monkey Island: Special Edition, the controls can be slightly difficult to understand at first. The original Secret of the Monkey Island released for the PC had a point and click interface using the mouse. The actions list was also large in the old version and an extensive inventory list was displayed at the bottom of the screen. These extended menu lists are replaced by pop ups that can be opened by pressing the right and left shoulder buttons of your Xbox 360 controller. The action pop ups can be accessed by pressing the Left Bumper while the Right Bumper is used to open the inventory. This can be a little confusing at first, especially when you want to open both the menus at once. Nevertheless, there’s that D-pad always on the rescue. You can press it to choose the set of actions quickly. To make things easier, players can also use the A and B buttons to quickly give commands to the character in a particular scene. But, it definitely would have been much easier had the interface display both inventory and actions in one menu. 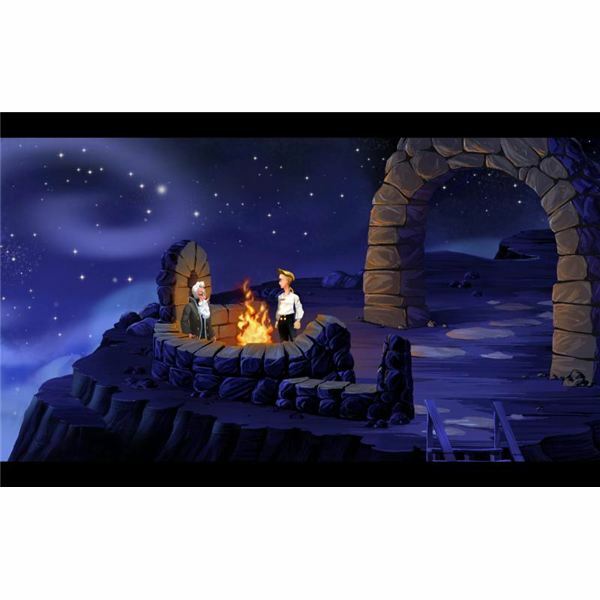 In addition to excellent updated graphics, The Secret of Monkey Island: Special Edition boasts a recreated soundtrack, complete with voices and excellent sound effects. 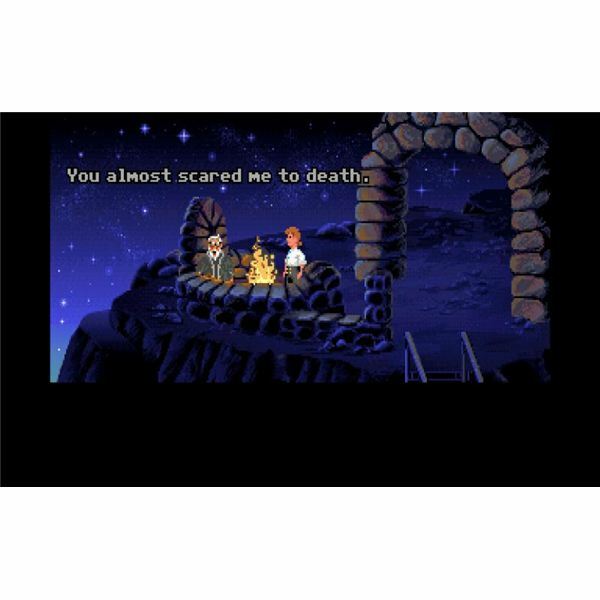 The voice-overs convey the humorous dialogues between LeChuck and Guybrush Threepwood excellently. This new feature certainly enhances the overall gameplay. The original one had dialogues exchanged via text boxes, which was also impressive. But, considering the current scenario where voice-overs play a significant part in gaming, the game did require spoken rather than written words. 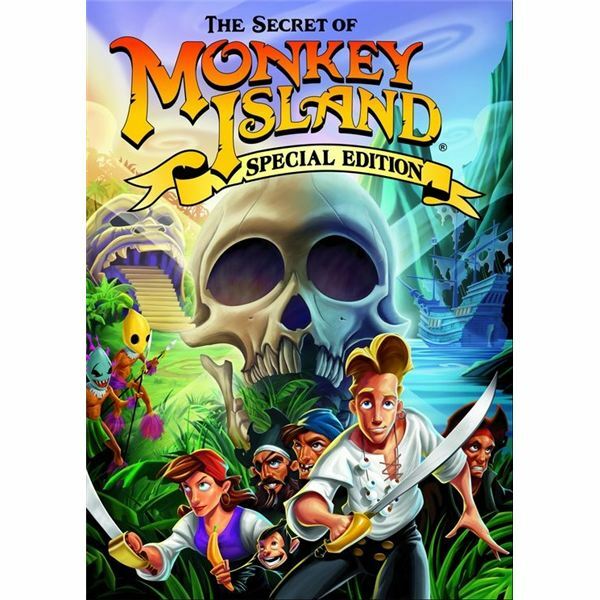 The Secret of Monkey Island: Special Edition offers a true nostalgic experience to gamers who have enjoyed playing the Monkey Island series games. Newbie gamers will also love the simplicity and the non-flashy aspects of the game. The game can be a great add-on for those who love to collect old and new graphic adventure games.